What do you think of its new look? Toyota Motor Corporation has launched the all-new Corolla in Japan. According to the Japanese carmaker, the Corolla's redesign is a return to the nameplate's origins by minimizing its body size while maintaining its ability to safely and comfortably transport four adults over long distances, "thereby achieving a perfect fit for compact cars in the Japanese market." 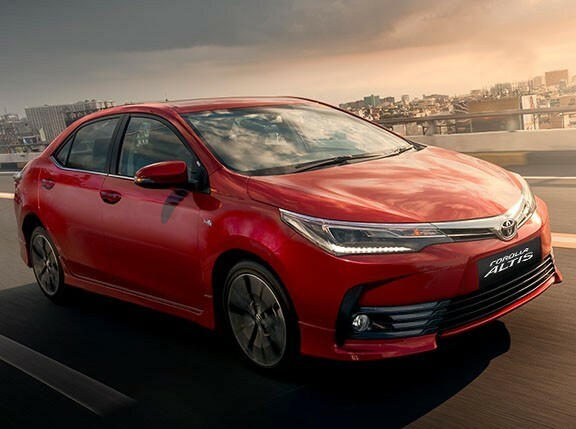 Under Toyota's concept for the all-new Corolla as a compact car with an abundance of interior space, its length has been reduced by 50mm although its rear seat's knee space has been lengthened by 40mm. Trunk space has also been increased by 90mm, allowing the Corolla to stow items up to 410mm in length with the rear seats folded down. The new Corolla has a chrome grille that integrates neatly with its headlamps, giving it a full and sturdy front end, while its side presents a curved silhouette, giving it a sense of energy thanks to the subtly flared front and rear fenders. Buyers of the Corolla Axio--as the car is called in Japan--can choose from either a 1.3- or 1.5-liter engine. Toyota claims that the Dual VVT-I technology used in the 1.3-liter model "enables agile driving with a high fuel efficiency" of 20.6km/L based on a city cruising test cycle conducted by the Japanese Ministry of Land, Infrastructure, Transport and Tourism. The 1.5-liter model also exhibits a higher fuel efficiency of 20km/L based on the same test cycle conducted by the aforementioned government agency. Toyota attributes this to the Super CVT-i used by the vehicle, which is incidentally the sole transmission offered in the 1.3-liter variant. The 1.5-liter model's fuel efficiency can be improved even further with the optional start/stop system to give it a fuel consumption of 21.4km/L. Other differences between the 1.3- and 1.5-liter models are that the latter is also available with a five-speed manual and a four-wheel-drive powertrain. What do you think of the all-new Corolla? Should Toyota retain its current look if and when it gets sold here, or could it use a more aggressive styling?